We vote no on the idea of money as the root of all evil. But it does turn out to cause quite a bit of trouble in relationships — and when it does you can likely point a finger toward one specific financial issue: debt. 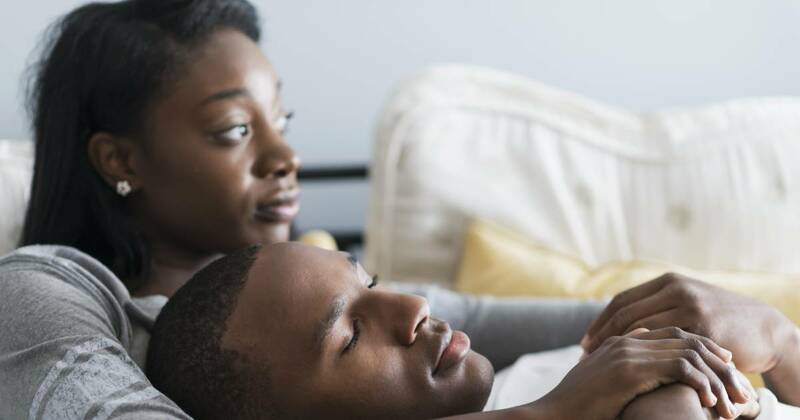 More than half of all couples go into their partnerships with debt, and 40 percent say that this financial burden ends up having a negative impact on their relationships, according to a new Couples & Money study by Fidelity. Not only do couples disagree on whose responsibility the debt is — 49 percent contradict one another as to exactly who’s on the hook — couples who are concerned about paying down debt are also more likely to suffer from poor communication, fighting and difficulty having conversations about money. And those things portend more trouble. According to a study from Utah State University, fighting about finances is a top predictor of divorce, with couples who fight frequently being 30 percent more likely to divorce than those who rarely argue. Thankfully, the next time you feel a quarrel brewing, you don’t have to give in to temptation, and you may even be able to stop your fight — along with your debt— in its tracks. Rarely do couples walk into a divorce attorney’s office and announce, “We want a divorce because we’re having money problems,” but ultimately, money is at the root of many divorces, explains Bernard G. Post, New York City matrimonial attorney. “When you can’t communicate about money, then neither party is going to recognize when they’re living beyond their means, or when you need to cut back on your expenses,” he says. For so many of us, it’s the unknowns that cause the most stress — How will I be able to pay this down? How much debt do I have? What’s the interest rate? According to the Federal Reserve, Americans underestimate how much student loan debt they carry by 25 percent and underestimate their credit card debt by 37 percent. It’s easy to get lost in your finances when you have various cards with differing interest rates and balances, so organization is key, says Elisabeth Kozack, VP of product innovation and customer experience at Marcus by Goldman Sachs. Once you figure out exactly what’s owed and to whom, you and your partner can sit down and talk about which method you’ll use to pay down your debt. Two of the most common are the “snowball” and “avalanche” methods. With the snowball method, you’d start by paying off your debts starting with the smallest balances first. This would allow you to see some early wins, close some outstanding accounts, and start to build up your debt-paying momentum. With the debt avalanche method, you’d pay down your debts starting with the highest interest rate loan first, regardless of the balance owed. This method allows you to save the most money on interest, thereby helping you get out of debt more quickly. You can also look into debt consolidation, which would mean combining your existing debt into a single new debt, Kozack says. Along with potentially only having one payment, debt consolidation could result in a lower monthly payment and a lower interest rate. Whether you see a financial planner, a couples counselor, or both, it’s time to see someone ASAP if you find yourself fighting about money often, says Brent Weiss, CFP and co-founder at financial services firm Facet Wealth. “A financial planner can help you understand how you can best use your assets to help you achieve the goals you set out with. A couples counselor can help reveal things you didn’t know about your relationship with money, and your relationship with one another.” Both professionals can help you see how some of your relationship problems may have been compounded by your financial worries. One way of making sure you’ll stick to your financial goals is to put them in writing. If you’re not married yet and money is a source of stress for your relationship, look into getting a prenuptial agreement, Post says. As part of the agreement, both parties are required to disclose all of their assets and liabilities. So if your partner has been evasive when you ask them exactly how much student debt they have, a prenup enables you to find out the details. In this contract, you can also lay any ground rules for debt repayment, establishing a “What’s mine is mine, what’s yours is yours” agreement if desired. If you’ve already walked down the aisle and money pressures are threatening the relationship, you can look into a post-nuptial agreement that can set all the same ground rules after the fact. “No one really talks about the postnup that often, but sometimes even in good marriages you have economic distrust, and this can solve those problems,” Post says.